It’s a Wrap: ADAO’s Historic, Inspirational, and International 15th Annual Asbestos Awareness and Prevention Conference in DC was a Success!  On behalf of the Asbestos Disease Awareness Organization (ADAO), we would like to thank all of our attendees, speakers, honorees, volunteers, sponsors, and supporters who participated in the 15th Annual International Asbestos Awareness and Prevention Conference! This year’s conference, “Where Knowledge and Action Unite,” held April 5 – 7, 2019 in Washington, DC, marked 15 years of ADAO’s leadership in raising asbestos awareness, spearheading advocacy efforts, and fostering our united community. The conference brought together over 100 experts from ten countries— including Belgium, Brazil, Canada, Chile, Colombia, India, Italy, Nigeria, the United Kingdom, and the United States—to spread awareness about asbestos, clarify recent academic and legislative news, disseminate educational and preventative resources, and work towards a ban on asbestos. This year, we were honored to feature over 40 conference presenters, an Awards and Recognition Gala Dinner, a Unity and Remembrance Brunch, and a Candlelight Vigil honoring and supporting all those touched by asbestos. “Where Knowledge and Action Unite” was once again an underlying theme repeated again and again by conference attendees, Mesothelioma Warriors, and experts alike as their voices resonated in unison with a call for hazardous chemical regulation reform. Livestream Brings ADAO’s 15th Annual Conference to You! Each individual conference presentation video will be made available on ADAO’s YouTube library around June 1st. Our conference would not have been possible without the dedication and hard work of our experts and community members – your voices, stories, and willpower inspire us daily and bring this event to life. A special thank you to the generous 2019 Platinum Sponsors Motley Rice LLC and Simmons Hanly Conroy, LLC, and Silver Sponsor Early, Lucarelli, Sweeney & Meisenkothen. Individual donors include Diamond Donor Lisa Crandall; Emerald Donors Marilyn Amento, Steven Markowitz, Rosemary Schaffer, The Von St. James Family; Sapphire Donors Marli Stewart-Beer, Kimberly Cecchini, Julie Gundlach, Elizabeth Harty, and Tara Jensen; and Garnet Donors Mark Catlin, Paul & Yvonne Hall, Kim Hoover, and Wendy Roberts. We sincerely thank all of our dedicated volunteers for their hard work and commitment to our cause. Together, we make change happen.